Lipo Factory is the newest line of batteries Trinity has to offer....... With the addition of these batteries Trinity now offers a wide variety of batteries from high performance to cost efficient batteries. 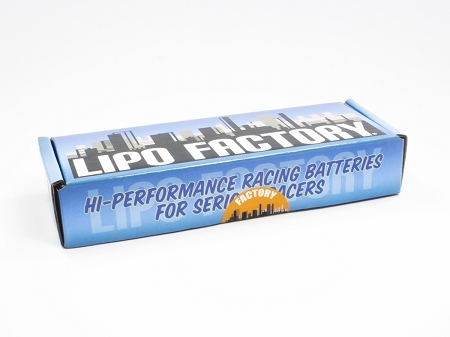 Lipo Factory packs are designed by racers to be performance driven, but at an affordable price. 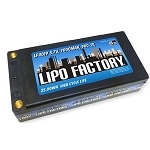 Trinity is the exclusive Distributor / Importer for the Lipo Factory line of batteries. Performance at an Affordable Price! unfortunately I wasn't able to use the pack right away my batteries never came with the 5mm bullets in the box . so I had to go out and buy a set of 5mm bullets. I bought 3 packs . Most battery packs comes with the bullets . 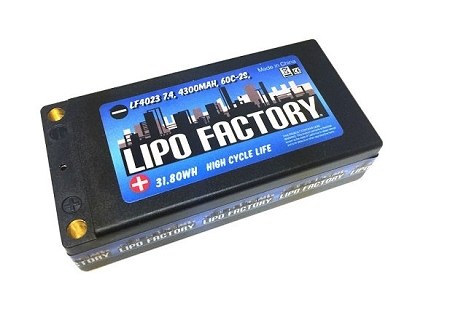 not here so just be prepared to buy yourself a set of bullets ** Lipo Factory Batteries Great Price....Sorry for your confusion, but it does state in the product description that plugs are not include and there is even a link to our recommend plug. 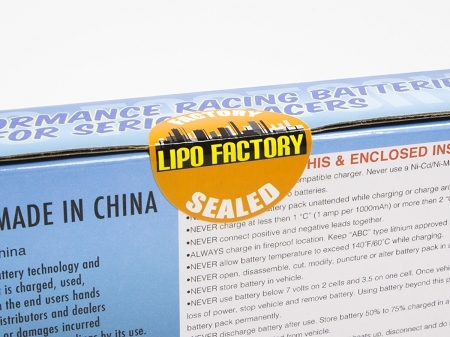 Lipo Factory batteries come with 60 day warranty, against manufacturing defects, from date the of purchase. Warranty covers dead cells or cells with voltage charge errors (voltage off between cells more than .5 of a volt when balanced). Warranty does not cover puffed or swollen battery packs unless new defective right out of the box. Warranty will not cover items that have been modified, disassembled, or otherwise misused according to the item s instructions. Proof of purchase is required to submit a warranty claim. TRINITY is not responsible for bodily injury and/or property damage that may occur from the use or misuse of the item.